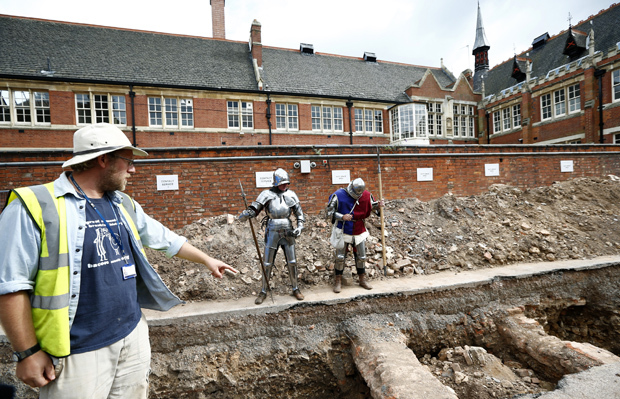 Last week some archeologists from Leicester University made a breakthrough in their search for the resting place of King Richard III who died by a blow to the head at the battle of Bosworth in 1458 ending the war of the roses and the English reign of the Plantagenets. Richard III was the subject of a play by Shakespeare in which he was portrayed as a hunchback with a clubbed foot and a nasty character. Shakespeare may have been more than a little biased if he wanted to please the Tudor monarchy so it would be foolish to rely on his fiction. Finding Richard’s skeleton could confirm or refute some of what we think we know about him. To verify the owner of the bones they will resort to genetic evidence. DNA cn be extracted from bones thousands of years old so it should not be too hard to get a DNA profile from the skeleton, but whose DNA can it be compared with? The problem is that 20 generations have passed since Richard died, and he did not even have any direct descendants. You have 23 pairs of chromosomes that are shuffled with those of your spouse and passed on to your children. They will have 23 of your chromosomes but your grandchildren could have any number between 0 and 23 inherited from you. Most likely they will have 11 or 12, then your great grand children will have about 6, your great-great-grandchildren about three and so on. After six generations an offspring has up to 64 ancestors from which they inherit 46 chromosomes. There will be some from whom they have inherited no genes at all. After twenty generation any randomly chosen descendant is very unlikely to have any of your genes. The archeologists who found the bones claim to have identified a direct descendant of Richard’s sister. Strikes me that this is not a promising lead if they are plan to use nucleic DNA, (but see below). One real possibility might be to exhume the bones of one of Richard’s close relatives whose grave is preserved. I am not sure if one can be found and might do some research on that later, but in any case it seems a little unlikely that permission to dig up the nobility will be granted on this basis. Luckily there is an alternative. All men have a Y chromosome that is always passed from Father to son. This means that any direct descendant in a male line will always share at least that one chromosome. Richard had only one son who died at age 11 so we must look further back in his male line. His brothers shared his Y chromosome too but Richard himself is thought have killed two of his nephews to secure his own right to the throne, while Henry the VII beheaded the remaining nephew to avoid any arguments about his reign. 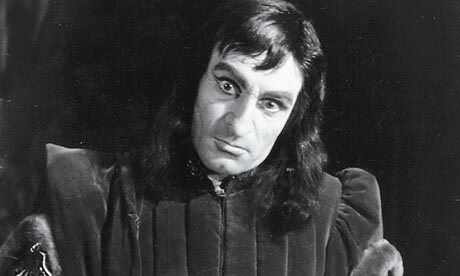 Richard III had no uncles on his father’s side. In fact you need to go back to his great-great-grandfather King Edward III to find a direct male line to the present day who would share Richard’s Y chromosome. For the full list click here. This assumes that all lines are legitimate, possibly a strong assumption. Some living Plantagenets may be reluctant to allow their DNA to be tested in case they are found to be imposters. If a match can nevertheless be made, confirming the Y chromosome would only show that the bones belong to a Plantagenet. 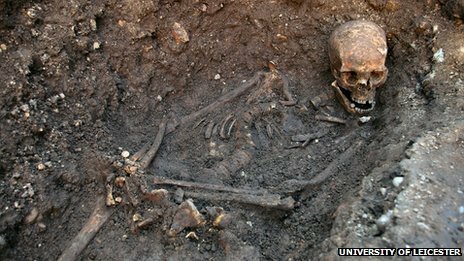 Carbon dating would give the rough date of death, enough to reduce the possibilities to just a few alternatives including Richard III. One other avenue for genetic verification might be to isolate mitochondrial DNA from the bones. Mitochondrial DNA are shorter chains found in cells outside the nucleus and they are always passed from the mother. This could be compared with a direct female line, and female lines are more likely to be correctly documented unless there was a secret adoption. This line from his sister Ann of York may be the one they intend to use. Update: According to New Scientist they do plan to look for mitochondrial DNA and have a descendant in the female line. There may be other female lines from his great grandmother Catherine Roet, but they are not well documented. Nucleic DNA could be harder to extract.